Pristine beaches, lush green national parks, lip-smacking food, UNESCO World Heritage Sites – this and much more defines the idyllic vacation destination called Malaysia. It is a place for the lazy bums who are seeking the sun, the sand, and the sea. But if you are a madcap always looking for some adventure, then Malaysia turns into an even better place. The diverse terrain of Malaysia lets adventurers embark on a heart thumping vacation. Offering a wide range of adventurous sports, you can go wild at this place. Care to know the crazy vacation ideas for Malaysia? Read on and plan a vacation that would suit an adventure junkie. Bungee Jumping: If it is your first time to jump from a significant height above sea level, then Malaysia is the right destination to indulge in this extreme sport. Bungee jumping from 22 meter above sea level will get your heart pumping faster and your blood running faster through your veins. The best place to try this out is Sunway Lagoon Theme Park which is in Kuala Lumpur. 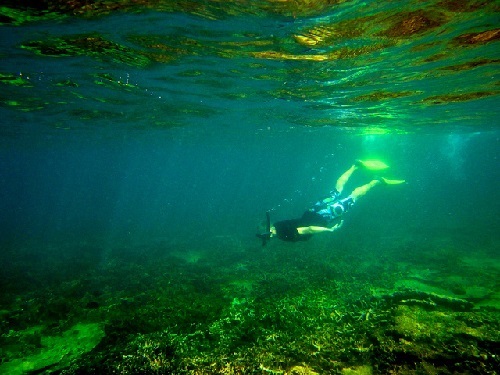 Snorkelling: Malaysia is a treasure of marine life. It would be a crime not to observe them up-close while vacationing in Malaysia. Imagine how heavenly it would be to swim beside a shark or lovely exotic sea turtle. Loaded with many idyllic spots, snorkelling enthusiasts from all around the world flock to this place. The crystal clear water, the vivid coral reef, and the variety of marine life will leave you with an exhilarating experience like never before. Parasailing: One of the most thrilling activities to do in Malaysia is Parasailing. 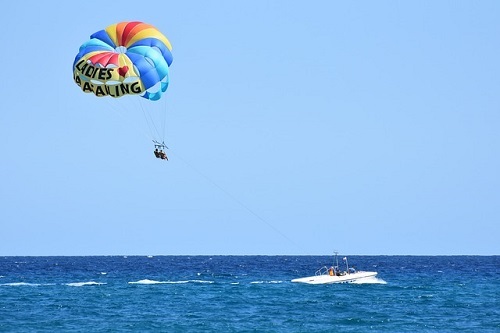 Out of all the water sports activities offered here, it is parasailing which is loved by most madcaps. A 10 minute ride above 500 feet of sea level is enough to give you that adrenaline rush. And to top that – a perfect landing on the boat equals to icing on the cake. If you wish to enjoy parasailing to your heart’s content then head towards Langkawi Island in Malaysia. 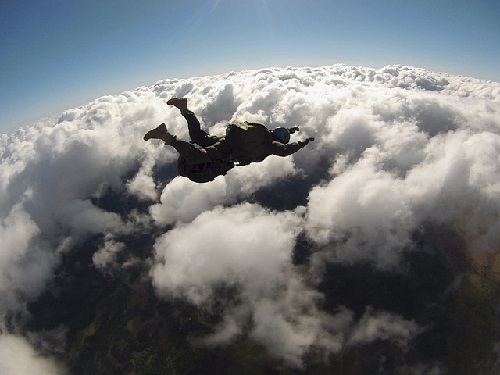 Skydiving: To enjoy skydiving in Malaysia, you have to choose the right season for visiting this beautiful place. Many agencies offer this super exhilarating adventure to novice as well as skilled divers. Encapturing the mesmerizing Malaysia from a height is one experience that cannot be unfolded by few mere words. Dare to dive from the sky during your Malaysian vacation and return home with a thrilling experience in your kitty. Caving: Do you cringe at the sight of insects? Then caving in Malaysia is not for you. Packed with stalactites, stalagmites, and a variety of insects, caves in Malaysia are famous amongst ecology lovers. Right from worms to centipedes, you would find many insects freely roaming around in these caves. And like many others in the world, the caves in Malaysia are home to many bats. Boldly step into these caves and unleash your daredevilish side. 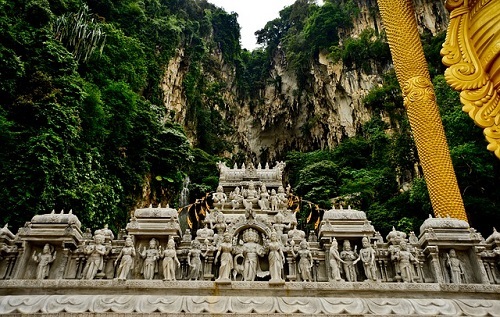 With these extreme vacation ideas at hand, you will surely have a blast in Malaysia.